Self drill screws are available in Hex Head Head,Pan Ph Head,CSK Ph Head,Wafer Head,Special Head for ACC Roofing,etc.sizes available are from 3.5mm dia to 6.3mm dia in lenghts upto 150mm. materials available in Bright zinc Plating and xylan coating and also in Stainless steel. Wing screws available in sizes 5,6,8,10,12mm in different lenghts. Self drill screws available for drilling in angle and channels upto 10 to 12mm. Self Tapping screw available in Pan Slotted,CSK Slotted,Raised Head,Pan PH Head,CSK PH Head,etc. sizes available from No2 to No 14 in lenghts upto 75mm. Chipboard screws which are used in particle boards and have cource thread for easy installation in sof t materials. Wedge Anchors,Pin type Anchor,Taper nut type,Rawal type Anchors available in both Mild Steel and Stainless steel. We also have EPDM Metal bonded washer used in Self Drill Screws,etc. Nut Runner for Self Drill screw Hex Head. Star bit used for Self Tapping screws and Self Drill screws,etc. 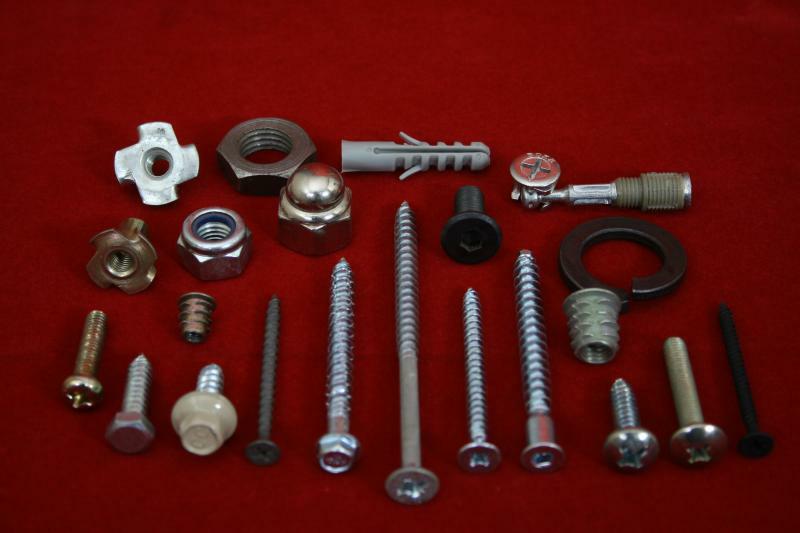 Self tapping Nut inserts and JCBC screws used in Furniture industries. Blind rivets available in Aluminium,Mild steel,Stainless steel,Large Flange Head,CSK Head,Sealed Copper Head,Sealed Stainless Steel Head,Painted,etc. Blind nut inserts available in Aluminium,Steel,Stainless steel and blind nut inserts available in Larges and small Flange(CSK) and also in Hex and semi Hex Head. Barrel seals for use to seal barrels. If you need any samples of the above products feel free and contact us and we will send the samples to you.